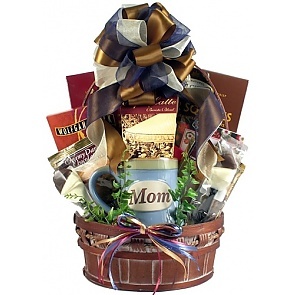 Mom will absolutely love receiving one of our beautiful Mother's Day gift baskets. These Mother's Day gifts are filled with many loving and delicious treats. 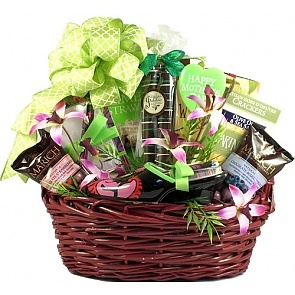 Our Mother's Day gift baskets contain delicious treats and many contain wonderful keepsakes. Our keepsake gifts for mom include books, plaques, mugs, cups, plush animals and beautiful planters. You can also find gifts with stationary and some with candles. Our Mothers Day gift baskets are very popular, so order early and during the checkout process tell us when to deliver your gift.